The California Boater Card shows that its holder has successfully taken and passed a NASBLA/state-approved boater safety education examination. In 2018, the California Boater Card program began the phase-in by age for operators of motorized boats on state waterways. For information on mandatory boating safety education requirements for each state, click here. The card is issued by the California State Parks Division of Boating and Waterways (DBW). 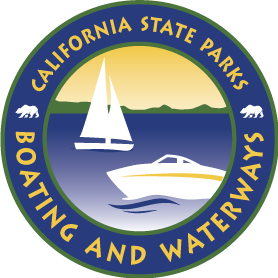 DBW began issuing the California Boater Card on Dec. 1, 2017. The lifetime card fee is $10. The lost card replacement fee is $5. Once DBW has received your application, proof of education and payment, you will receive a 90-day temporary boater card by email. You should receive your official boater card by mail within 60 days. +California age restrictions for operating a motorized vessel: According to California Harbors and Navigation Code Section 658.5, NO person under 16 years of age may operate a boat with a motor of more than 15 horsepower, except for a sailboat that does not exceed 30 feet in length or a dinghy used directly between a moored boat and the shore (or between two moored boats). The law allows children 12-15 years of age to operate boats with a motor of more than 15 horsepower or sailboats over 30 feet if supervised on board by an adult at least 18 years of age. Violating these provisions constitutes an infraction.